Tickets now on sale at www.ucalgary.ca/tickets for our spring concert! (Click on the yellow ticket on U of C's website to get to the online ordering screen. Then look for the words: Click here to purchase Single Tickets) Come hear songs about the journey of motherhood and being a Canadian. 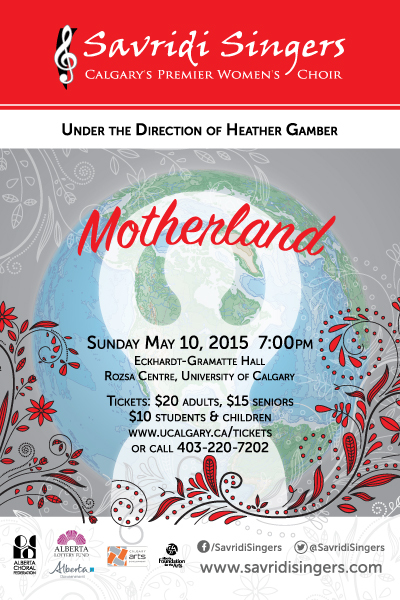 May 10, 2015 at University of Calgary!